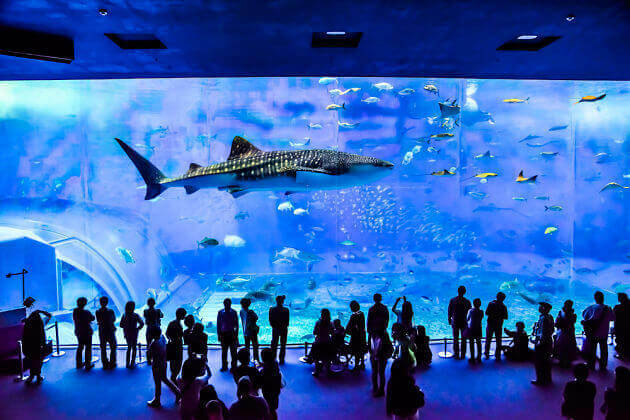 Okinawa shore excursions from Naha – the capital city, politic, economy, and education center of Okinawa – has a variety of things to do and see. This place is famous for many ancient cultural sites such as Shuri Castle, Tamaudun Museum, and the Ryukyu village with traditional workshops revealed Okinawa’s unique culture. Stroll along Kokusai Dori shopping street to sample some Okinawa food and collect some pleasant gifts for your family and friends. Not only be well-known for its culture, Okinawa tours from Naha port are also a paradise for anyone love nature. The Gyokusen-do Cave – a splendor natural museum carved over 300,000 years – will make you breathtaking with huddled magnificent stalactites and stalagmites. Another must-visiting destination in Okinawa tours from Naha port is the Former Japanese Naval Underground Headquarters reminding the bloody Battle of Okinawa. Walk along the cave, feel the gloomy atmosphere when touching the shrapnel-holes used for suiciding by the commanding officer and 175 of his staff. With the sub-tropical weather, the hottest month in Okinawa shore excursions is August with the temperature is nearly 35°C while January is the coldest month with the lowest temperature is below 10°C. Come to Japan, and join in Okinawa shore excursions from Naha port. Feel free contacting us to tailor-make an Okinawa day tour from Naha port that suits your price and interests. Thanks for letting us know about your traveling plan. The detailed quotation for this Okinawa – Naha shore excursion has been sent to your email address. Please check and kindly ask us if you need more information. Hi we are also sailing on March 10 via Superstar Virgo and will dock in Naha by 11 am of March 12. we are 10 pax 2 childrens and 2 Senior Citizens. Can you pls give me a quotation . Thank you for your request. Please check your email for detailed quotation of okinawa – Naha shore excursion. Feel free to contact us should you have other enquiries. We will be arriving from a cruise (Starcruise Virgo) at Naha Port on April 11 at 12noon. How much is the cost to rent a private taxi for 5 hours? Thank you for sharing your traveling plan. The detailed quotation and schedule on this tailor-make tour have been sent to your email address. Please check it and let us know if you want more information. Will you please send me a quote for this tour for a group of 3 adults? Also how many can be included in a group if others wish to join us? The price per pax is cheaper if there are more people join in a group. Please check your email for the detailed quotation on this Okinawa – Naha shore excursions. We are interested in this tour. We will be arriving on March 27 on Oceania. Do you have a group tour that we could join? We are only two people. 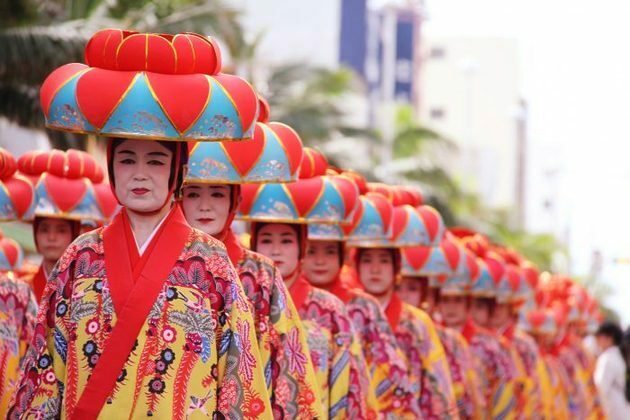 Thanks for your request on Naha – Okinawa shore excursions. The detailed information has already sent to your email that you can have a look. We are a group of 12 + or minus as required English speaking adult pax due in Naha on 8July 2019 on Diamond Princess. Please give me a quote for traditional okinawa tour. The price per pax is cheaper if more people join the group. For the detailed quotation, please check your email. Interested in getting 5 hr tour for 3 adults. Arriving via Royal Caribbean Voyager of the Seas on August 2. Please quote. For the detailed quotation on this Okinawa-Naha shore excursion, please check your email. Naha can be considered as the city of World Heritage Sites. If you can only go to one city in Japan, it must be Naha. For more convenient, we would like to recommend some attractions below for your Okinawa tours from Naha port. 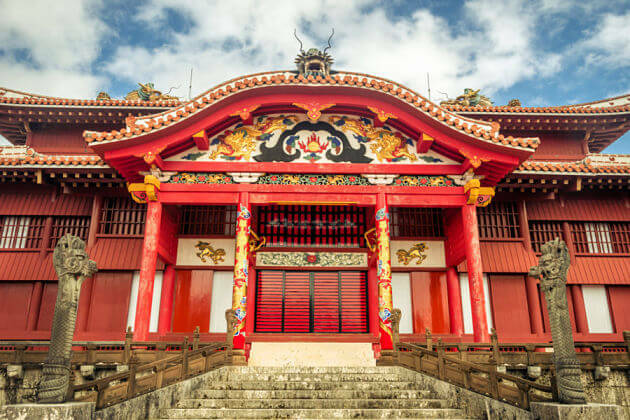 The Shuri Castle, with the name Shurijo called by locals, was the administrative center and home for the royal family in the Ryukyu period for several centuries that cannot be missed in every cultural Naha - Okinawa shore excursions. Although the wars and fires destroyed the castle many times in the past, the castle now is rebuilt with more gates, especially the famous Shureimon Gate. When you climb up to the top, you can catch the spectacular view of Naha city. Okinawa shore excursions are full of white-sand beaches and sunshine. With anyone who wants to escape from the heat, head to the Gyokusendo Cave. Being the longest caves in the south of Okinawa Island, this cave stretches on 5 kilometers with the average temperature is around 21°C. The cave is definitely a huge natural museum with the age of over 300,000 years, home to millions of spectacular stalactites and stalagmites. Walking in the well-maintained and incredible walking path, you can be mesmerizing at the beauty of this fantastic natural masterpiece and mark your impression in Okinawa tours from Naha port. 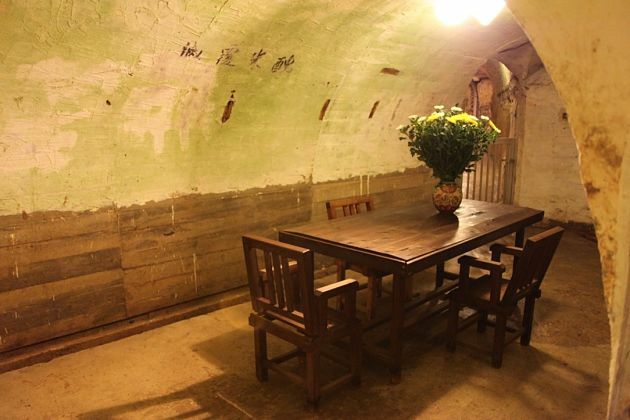 If you have ever heard about the bloody Battle of Okinawa, a visit to Former Japanese Naval Underground Headquarters will surely in the top list things to do and see in Okinawa tours from Naha port. They open only 250 meters of the tunnels but walking along the cave can bring the haunted and gloomy feeling. Listen to your guide talking about the story of soldiers died 72 years ago and witness the holes created when commanding officers and 175 staffs suicided. 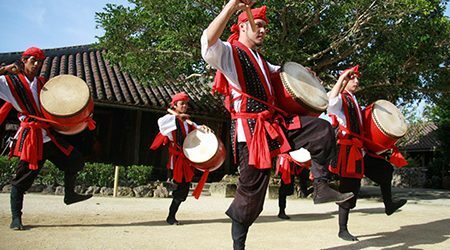 Want a Naha – Okinawa shore excursion to explore both the culture and history of Japan? Take a visit to Kingdom village! 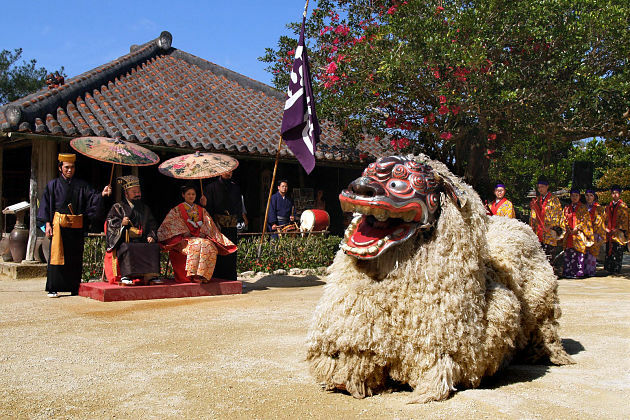 This village is a wonderful copy of the originally traditional village from the Ryukyu Kingdom. In here, you can admire the houses with the red-tiled roof and ancient Japanese architecture. It also provides an opportunity to get hands-on experience the workshops including glass blowing, pottery, weaving, dyeing, paper making, and so on. Shikinaen Garden was built to be the second home of the Ryukyu kings that is the entertain center for the guests of the royal family. The garden brings the classic Japanese style combined with the unique flavor of Okinawa Island that includes several idyllic ponds, beautiful flora, and simple wooden buildings. This place will shine your Okinawa tours from Naha port. 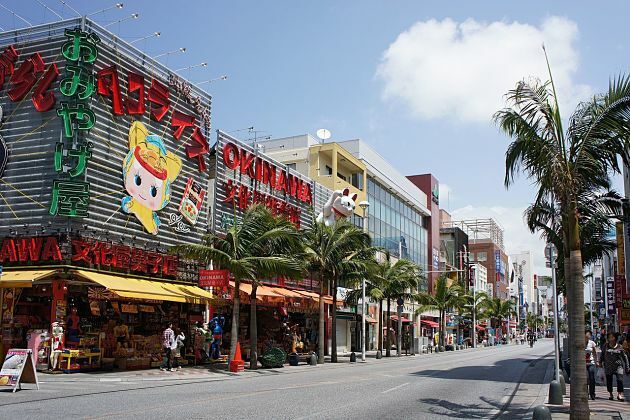 The best place to taste the bustling atmosphere and also the daily business life in Okinawa shore excursions is Kokusai Dori - the most popular street in Okinawa Island. Well-known for the name International Street of Japan, Kokusai Dori stretches for about two kilometers through the downtown of Naha. The side of the street is full of restaurants, coffee shops, luxury bars, hotels, souvenir, clothing and department stores. Soak in the colorful Heiwadori, Mutsumidori and Ichiba Hondori arcades, enjoy a lively picture of the neon light at night all along the with Okinawa music flowing through your ears. One of the most featured places in Okinawa tours from Naha port that have an important role in the pottery industry of Japan is Tsuboya Pottery District. 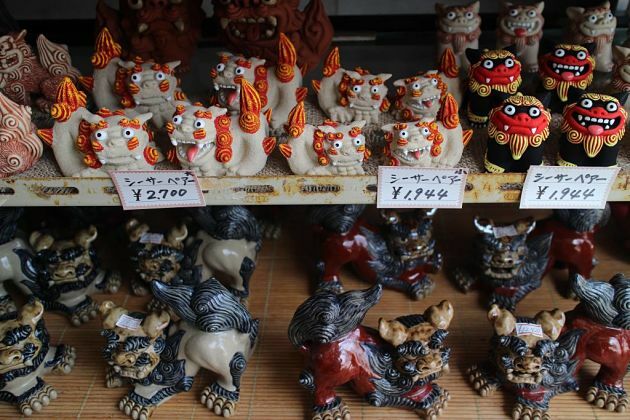 Relax by strolling along the street, admire various pottery workshops which display the famous Okinawan ceramics. Head to Tsuboya Pottery Museum which reveals the history and development of the pottery industry.